Although our judges were faced with the very difficult task of choosing just three winners from a list of 15 fantastic finalists, the winners have been named! 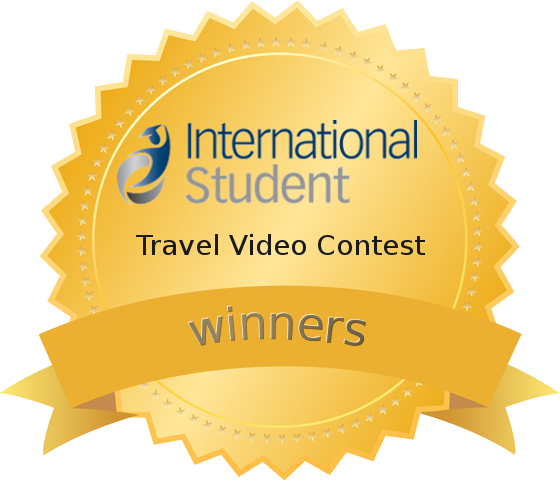 Each of the 15 videos were impressive and inspiring in their own way and we have no doubt that the talented students behind each video will be able to fulfill their international education dreams. We hope Yeon will continue her research to protect our planet, that Monica will keep trying to open the eyes of others, Agnieszka will keep moving and working towards her goal of studying rehabilitation, Mariana continues to play the violin and is able to see it all, that Christian continues imagining his life as a music video, that Carlos and Fernanda achieve their MBA dream, Jiahui finds his own culture and identity, that Alan will always pursue his three passions, Dzhwar keeps chasing his dreams, Estefany can stay on her way around the world, that Aurora never kicks her addiction, Gilbert keeps seeing what others can’t, that Daniel fulfills his life’s purpose, Michael always looks beyond the boundaries toward new ways of thinking, and that Siti never stops dreaming big. I decided to share my story with you by writing and recording an original song. It tells the story of my life and how I came from one of the most impoverished and dangerous states in Mexico, to study music and art in the USA. The story of a girl from an orphanage who has a big dream. Ever since she was little, she has always wanted to become an obstetrician and to study abroad. She had a lot of obstacles to achieve her dream along the way . However, sheâ€™s now one step closer. I started architecture with the belief that I could make a difference in South Africa, my home, a place defined by inequality, crime, vulnerability, discrimination and which, for the most part lacks a sense of place in cities that are rapidly urbanising. We (Marifer & Carlos) want to share with you our story: who we are, what we want to achieve, and our contribution to other people with dreams like ours. Want to see more? Check out all the finalists for 2016	.